NEW YORK, NY (OCTOBER 21, 2016) – PAUL GALANDO, founding director of NYU’s Dance & New Media program at Tisch School of the Arts and President of Dance Films Association (DFA), will chair the Emerging Movement Council at NYU with support of New York University’s Digital Studio and in collaboration with DFA. As a leader in education, emerging media and dance filmmaking, Paul’s passion for creating real world careers with fellow alums and artists continues to drive his practical strategies for dancers. Professor Galando, a Tisch School of the Arts Film alum, introduces the Emerging Movement Council along with innovators at the intersection of dance, film, interactive arts, engineering, and entrepreneurship. He invites collaboration across all disciplines. 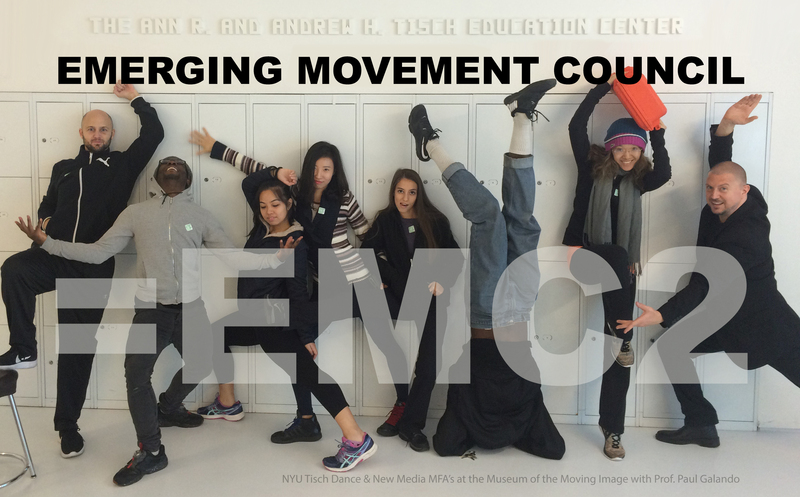 In addition to the NYU community, EMC2 is embracing collaborations with other universities and industry leaders including innovators from University of Southern California, Ohio State University, Juilliard, Columbia University / Barnard College, 92Y Harkness Dance Center, Gibney Dance, and Dance Films Association. EMC2 will be reaching out to multiple institutions as its mission to foster growth and support for the dance community develops as an international enterprise. RELATED NEWS: Dance Films Association and the Emerging Movement Council will host an educational summit at the 2017 Dance on Camera Festival (Feb. 3 – 7, 2017) to celebrate the 45th anniversary of the festival, co-presented with the Film Society of Lincoln Center.